Try SkyLines, our live tracking and flight sharing platform! The eleventh maintenance release of XCSoar 6.8 fixes a compatibility problem with Android 8. The primary display, easily configurable to provide the desired level of detail. 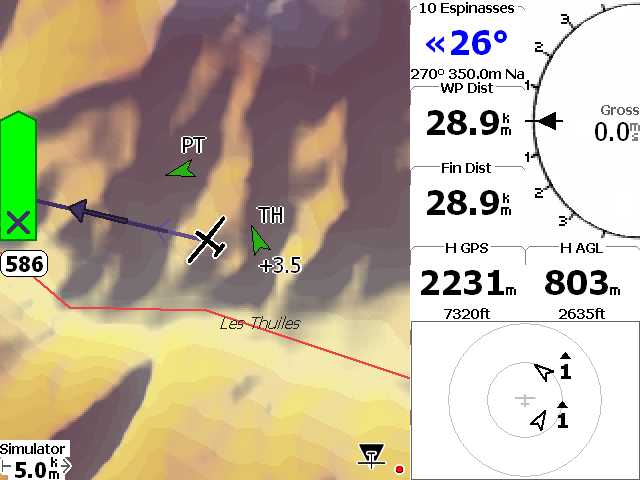 Terrain and Topology data from all over the world can be displayed on the moving map.